The Big Wobble: A mag 6.4 - 25km ESE of Curico, Chile is the the first major quake of November 2016: US West Coast due a big one! A mag 6.4 - 25km ESE of Curico, Chile is the the first major quake of November 2016: US West Coast due a big one! A mag 6.4 - 25km ESE of Curico, Chile is the the first major quake of November 2016. A 6.4 magnitude quake rattled Chile with an epicenter located close to its border with Argentina on Friday, according to earthquake monitors. Witnesses told Reuters that buildings were shaking in the city during the event. Today's magnitude 6.4 was the 114th major quake this year. 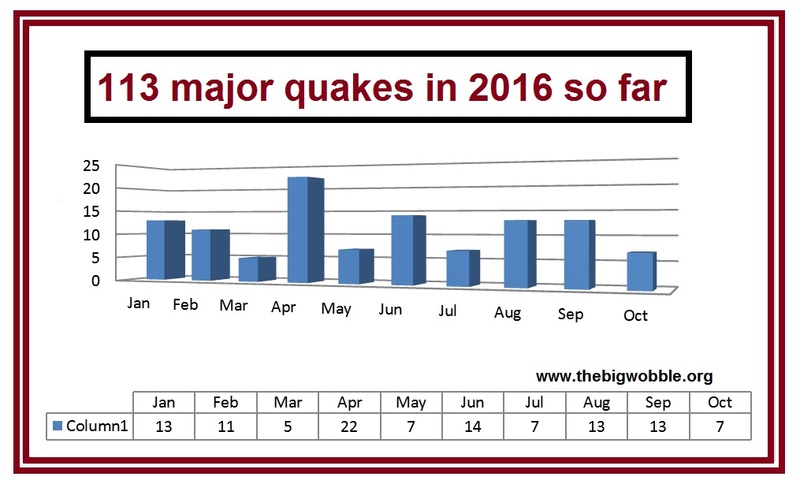 No of major quake's this year by month. 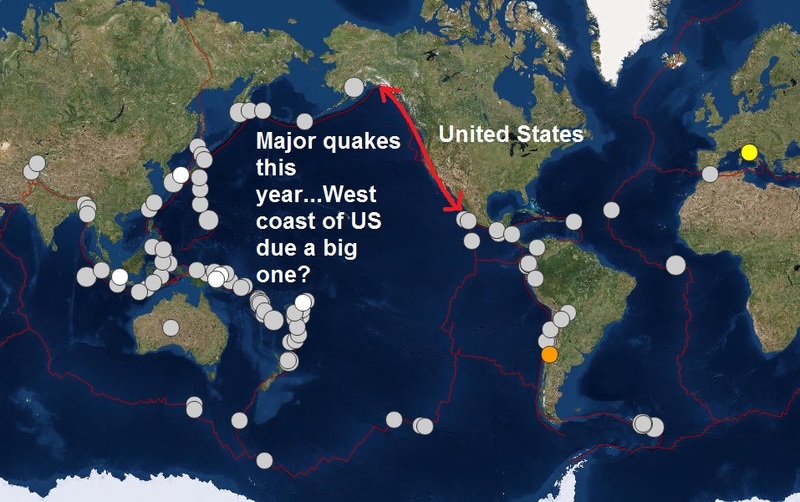 Major quakes around the world this year, is the West Coast due a big one?